Probably the three most contentious points of scripture are the Creation, Jesus Christ's first advent, and His Second Advent. These are under more attack, by more agencies both inside and out of Christendom than almost any other. The truth is, very few people believe in an actual literal return of our Lord and Savior. It is more akin to that bumper sticker I've seen from time to time that states: "Jesus is coming back, look busy". 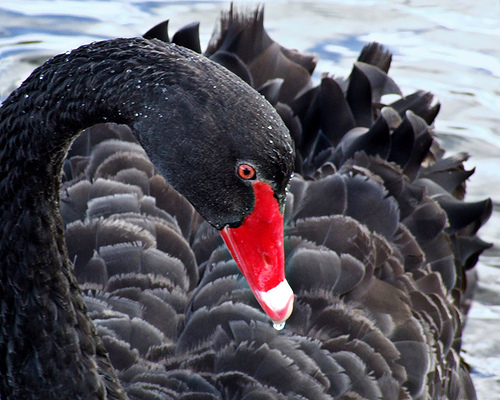 The "Black Swan Event/Theory" was put forth by a man named Nassim Taleb, who is a Lebanese American that studies randomness and probability. His book, "The Black Swan" is listed as one of the top 12 most influential books since World War II. He applies statistics and mathematics to the probability of events that have occurred and/or to the likeliness that they could occur. I came to understand it (in laymen's terms) to be an unexpected event that should have been seen coming, but couldn't because nothing like it had ever happened before. The black swan theory or theory of black swan events is a metaphor that describes an event that is a surprise (to the observer), has a major impact, and after the fact is often inappropriately rationalized with the benefit of hindsight. An example I've seen used in this: there is a turkey that, for a 1000 days is fed, sheltered, and cared for. On the 1000th day, he (the turkey) finds himself on the chopping block, because that 1000th day just happened to be Thanksgiving. So to the farmer, it was a 'white swan' event because he knew all along that this was the fate of that turkey; to the turkey it is a 'black swan' event because he didn't see it coming. In the Scriptures, we can see this played out in the life of Noah and the prophetic event known as the Flood. Out of the millions (possibly billions) of people on the planet at the time, not one person outside of his family believed him. Can you imagine the faith and perseverance that he must have had to continue to build decade after decade on an enormous boat, warning them about a coming judgment in the form of rain, in which no one had ever seen before. To the world that was then, this was the mother of all 'black swan' events, but only because they rejected God's message and His messenger. The Apostle Peter ties that event (the flood), with the return of Christ and the same type of mentality people have concerning both events. The King James Version has the underlined phrase "they are willingly ignorant of" which paints a clearer picture of the type of mindset that those who reject God's word, have to become. They have to purpose in their heart to ignore, pervert, or outright reject the message of warning because they don't want to deal with it. See, there are no 'black swan' events to God. God, who exists outside of space and time, can simultaneously see the beginning and the end and all that is in between. So back to the original statement, in that the three most contentious points in Scripture. Let me preface this by saying, that the first thing that had to go out the window was the Inerrancy of Scripture. Once supposed theologians (change agents) were able to insert some doubt into God's word as to what we can take literally and what is 'questionable', the rest was down hill. It began by attacking the Genesis account of Creation. The western civilization was just entering the 'Age of Reason' and neither the Roman Catholic nor the Protestant churches were able to answer the hard questions pertaining to our beginning. The next resurgent attack came on the personhood of Jesus Christ and whether He really was who He said He was. The current popular heresy floating around now days is that Jesus was really a woman named Judith Christ. And there are groups of supposed theologians out there that have debated as to what Christ really said, and what others have attributed Him to saying. There are the 'Red Letter Christians' who selectively pick and choose that which they consider the real Bible, while ignoring Paul's and the other Apostle's teachings as 'too divisive' to be useful. Lastly, there is the eschatology and return of Jesus Christ. There was though, a movement in the 1800's called the "Dispensationalists" who, based solely off of taking a literal reading of God's word, could and did accurately forecast what would have to happen before we entered that 'last generation'. Men like Darby, Scofield, Larkin, and Chafer viewed the unfulfilled prophetic passages as 'futuristic' since there had been no prior fulfillment of these events in historical records. One of those events was the reestablishment of Israel as a nation. To the rest of the world, this was a 'black swan' event since Israel had not been a nation in almost 2,000 years. But, since these 'Dispensationalists' were taking God at His literal word; it wasn't a matter of 'if' it could happen, but when. Again, the Apostle Peter reassures us that we have a 'more sure word of prophecy' in His word, than even Peter himself who had seen Christ's Transfiguration first hand. For most of the Age of the Church (from Augustine until 1948), both majorities of Protestant and Catholic churches were Amillennial...i.e....that there was no future millennial reign of Christ on the earth as stated in Isaiah 65, Daniel 2, Psalm 2, and Revelation 20. So when Israel became a nation again, it forced these churches to address their traditions in light of current events. For many who adhered to Amillennialism embraced 'Replacement Theology'. In doing so, they became 'willingly ignorant' of God's promises to the nation of Israel and of the distinctions between Israel and the Church. Aside from the outright rejection of Israel as a sign that the end of the age is drawing to a close, there have been numerous 'theories' as to when and how Christ should (or not) return for His Church. I think this is part of a 'divide and conquer' method of attack by Satan on the Church at large, to introduce confusion and ultimately, disillusionment with the nearness of His return. I've talked to a large number of Christians who have heard so many different viewpoints about when and how Christ will return, that they've just thrown their hands up in the air and said "Whatever". They've become 'pan-millennialist' in their eschatology (it will all pan out in the end, so why bother). It is a sad state of affairs when a large portion of the professing Church either doesn't know or doesn't care when their Savior is set to return. Notice the shifts between the second person and third person grammatical usages of 'you', 'they', and 'them'? We, who have been born again into the Body of Christ can take solace and comfort in the fact that our God has not left us to wade wearily into an unknown future. We can know what is coming, because He has put it in His word to us. The Rapture of the Church will be the ultimate 'Black Swan' event for this world because they too have rejected God's message and His messengers. Like the doomed Antediluvian world, that day and hour will come like a 'thief in the night' and will wreak havoc on an already stressed system. But we, as instructed, should watch, and be ready so as not to be caught off guard. And even though we don't know the exact day and hour, we should know the season we are in because of the signs of the times. There are those who say that prophecy has been fulfilled in the year 70AD and that we are doing nothing but waiting for the return of Jesus Christ. These folks are what are called Preterist and discount prophecy as not for our time, or that we are living in the ends of days. But let us look at what even Jesus spoke of in the Gospels, 600 years after the Prophet Daniel spoke of the Abomination that causes desolation, as Jesus also made reference to both the Abomination and the Prophet who wrote abou it. Since Daniel's prophecy is so astonishingly accurate in foretelling the rise and fall of Babylon, Medo-Persia, and Alexander the Great's Greek Empire, the book of Daniel is scoffed at being a forgery that was written many years into the future and long after the prophet's death. "Because its religious ideas do not belong to the 6th century BC, numerous scholars date Daniel in the first half of the 2nd century BC and relate the visions to the persecution of the Jews under Antiochus IV Epiphanes (175–164/163 BC). . . The unknown author may have drawn inspiration from Ugaritic and Phoenician sources that speak of a legendary figure notable for his righteousness and wisdom." But that leads these “so-called scholars” into a problem with this argument, since the Gospel specifically identify Daniel as a prophet. If Daniel was not a prophet and did not write the book bearing his name, then it follows that Jesus Christ quoted Daniel in error, and could not be the Son of God. Logically speaking, it is impossible for Jesus to be Whom He said He was and not know whether Daniel was a Divinely inspired prophet, or whether Daniel was just some sort of ascribed work of later forgery. But if Jesus IS the Son of God, (WHICH HE IS) then is also the One Who makes an appearance in Daniel's narrative. We know the story if King Nebuchadnezzar making a golden idol that he demanded all to worship when musical instruments started to play. In other words, the King demanded that he be worshipped as a god, and the idol was his symbol. Three Hebrew captives (and companions to Daniel), Shadrach, Meshach, and Abednego refused. And after being given another chance and rebuffed by these three men, the King has them all bound and thrown into a flaming, fiery furnace stoked 7 times hotter than usual, that killed even the soldiers who threw them in. Later, as the King of Babylon looked into the mouth of the furnace, he was confused and asked his counsellors this question. “24Then Nebuchadnezzar the king was astonied, and rose up in haste,and spake, and said unto his counsellors, Did not we cast three men bound into the midst of the fire? They answered and said unto the king, True, O king. King Nebuchadnezzar exclaimed that the fourth figure was in the image of the Son of God, so he identified this mystery fourth figure, when only three had been cast alive into the flames...What did the King see? And why was he sure that the figure was like the Son of God? I can only imagine. Jesus identified Daniel as a prophet and quoted from the Book of Daniel in His sermon. If Daniel is a forgery, then Jesus could not be anything more than a fraud. If Jesus is a fraud and Daniel is a forgery, then the Bible isn't worth studying. If it isn't worth studying, then what does that make these 'scholars'? I believe Psalms identifies who these scholars are and their unbelief. 1“The fool hath said in his heart, There is no God. Corrupt are they, and have done abominable iniquity: there is none that doeth good. 2God looked down from heaven upon the children of men, to see if there were any that did understand, that did seek God. But Jesus trusted Daniel enough to quote him in a sermon. I trust my Lord Jesus for my eternal salvation, so logically, I also trust the book of Daniel as a Divinely inspired work of God. Now that we got that out of the way, what is this “abomination of desolation” to which Jesus refers? There are two possible answers. One from a historical account, and one coming from prophecy. So who was the first one. As we have discussed in the past, a king arose out of Syria after the fall of and split of Alexander the Greats Empire that was split between his four generals....the Selucid portion of the Empire was created by one of the generals, Seleucus, and in the progression of kings, the eighth king was Antiochus, called Epiphanes. This Syrian King had two passions. One was his hatred of the Jews and his fancying himself a conqueror in the mold of his father, Antiochus III Magnus (“the Great”). History tells us that the man entered the Jewish Temple in Jerusalam in 167 BC, and desecrated the Holy of Holies by sacrificing a pig on the altar of God. Of a most important point for prophecy students is that Antiochus did not destroy any part of the temple. The crazy Syrian king did build extra structures, including pagan enhancements to the altar of sacrifice. How ever, none of this can be considered “Throwing down” the foundation of the sanctuary. Jesus referred to a coming event that would mirror what Antiochus did, and it would be a sign of His imminent return to rule the earth of 1000 years. Jesus was not referring to an historical event as the fulfillment of His prophecy, but was providing from history an examples of what such an event would mean. . It has never happened since Antiochus Epiphanes did his abomination that causeth desolation, which by the way led to the Maccabean Wars and the expelling of invaders of the nation of Israel. But Jesus was talking of a future event that has not happened YET! It will involve the desecration of the Holy of Holies of the newly rebuilt Temple during the coming Tribulation. Some argue that Jesus is addressing the signs of His return in the last days to the Church, in an effort to support their argument that the Church will be present during the tribulation. A Jew is not permitted to undertake a journey exceeding 1000 steps on the Sabbath. The Church isn't bound by Sabbath day restrictions. So why would Jesus warn the Church to 'pray' that the time for flight does not occur on the Sabbath? Applying Jesus' warning to the Church doesn't make sense. But to a religious Jew, it makes perfect sense. Jesus divides the Tribulation into two parts, splitting it at the point in which the antichrist replicates the abomination committed by Antiochus Epiphanes. Many critics of the Pre-Tribulation removal of the church call the Third Temple built by the Jews, as the “Anti-Christ temple”, but Paul describes the Temple in the last days, as the “Temple of God”. The Tribulation is the 70th Week of Daniel. Jeremiah refers to it as the Time of Jacob's Trouble. 5For thus saith the LORD; We have heard a voice of trembling, of fear, and not of peace. 6Ask ye now, and see whether a man doth travail with child? wherefore do I see every man with his hands on his loins, as a woman in travail, and all faces are turned into paleness? Jesus warns of persecution that will come on Sabbath-keeping Jews. Where is the Church? What is the role of the Church during the Tribulation? To answer that question, we need look at the role of the Church in the Church Age. But notice the great Commission given to the Church has been given to others, not the church....it is given to 144, 000 Jewish Evangelist, the Two Witnesses that prophecy at the Temple of 3.5 years and finally by an angel who is appointed to the task by God...It was was our commission, but since the Church is not here, God uses others, even an angel to preach the Gospel of Jesus Christ. If the indwelt Church is present during the Tribulation, why did the Great Commission get passed from the Church to Jewish evangelist, the two witnesses, and finally to an angel? Again, what is the Church's role during the Tribulation? Those who argue against a pre-Trib Rapture claim the role of the Church in the last days is to be massacred. To what purpose? To bring the Church to Christ? Clearly not, since by definition, the Church is already Christ's. The theory smacks of Catholci purgatory, which defines that Jesus sacrifice on the cross was just not good enough. We must be refined right along with Israel who has been in unbelief for the last 2000 years. 3 “And every spirit that confesseth not that Jesus Christ is come in the flesh is not of God: and this is that spirit of antichrist, whereof ye have heard that it should come; and even now already is it in the world. 5”And there was given unto him a mouth speaking great things and blasphemies; and power was given unto him to continue forty andtwo months. Which is it? Do we prevail, or does the antichrist? Apart from Dispensationalism, the two statements contradict. But if the Church Age is over and the Tribulation period is the time of 'Jacob's Trouble' and judgment against 'them that dwell upon the earth' rather than for the Church, then Scriptural harmony is restored. There is only one explanation, that the Pre-Tribulation removal of God's Church precedes the Tribulation by a number of years...Bill Salus had an interesting observation, when he proposed that there is a “gap” between the beginning of Chapter 4 of Revelation and the beginning of Chapter 6 of the same book of Revelation when the Church is found in heaven before the Throne of God and the unsealing of the scroll, by Jesus that unleashes the plagues and the wrath of God. How many years? It would be conjecture on anybodies part...could be days, could be years...but there “may” be this Gap period that Bill Salus speaks of in His new book, “Apocalypse Road”. One must conclude upon examination of God's Word, that the Pre-Tribulation removal of God's Church, some call the “rapture” is the most harmonious with the flow of God's Word, particularly when the added dimensions of actually watching the preparations unfold right before our eyes that began with the restoration of Israel as a nation again, after 2700 years of conquest by other nations and then finally their dispersion into the annals of time, only to be a nation again in May, 1948. But our faith in not WHEN Christ comes, but in the fact that He is coming soon. And the debate over that fact is one more piece of eveidence of that fact. Notice that the debate is not over whether the Lord will come in this generation. For most that is not even an issue. But we look fervently for His appearing and the sound of a trumpet, knowing that when Israel was again a nation, that countdown clock of His return began again. A century ago, they were debating if the Lord was even coming at all. Today we're debating over His coming within a seven year time frame. Regardless of what you believe of the soon coming of our Lord Jesus or not, the point is proved by that fact that such a debate exist at all. And not what you believe on it's timing and no matter what turns out to be right in the end, the important point to remember is WHAT we are debating. The evidence and logic tells us that we are living in the last days of the rule of mankind on this earth...you feel it, I feel it, and the whole world feels it, but they don't understand what they sense, or their inability to define it. It is important to know, that those who are reading these words right now, are who will never, ever die in the traditional sense, but will be caught up alive to meet the Lord in the air. In any case, are you ready...is your treasure laid up in heaven and not on this earth that is passing away? I implore you to make your “calling and election sure”...because our Lord Jesus is on the cusp of the greatest event, second only to His crucifixion and resurrection....the Coming of our Lord Jesus in the clouds to bring His true church to be with him forever. 15 “For this we say unto you by the word of the Lord, that we which are alive and remain unto the coming of the Lord shall not prevent them which are asleep. I implore you, don't be left to face the Tribulation when the free gift of salvation is a prayer away. 16 “For God so loved the world, that He gave His only begotten Son, that whosoever believeth in Him, should not perish, but have everlasting life. It is impossible to separate the power of the Holy Ghost from the Rapture and Resurrection of the Saints. If the Resurrection of Jesus Christ was clearly the Divine function of His Spirit, then our resurrection is even more the sovereign work of the same Holy Spirit. Apostle Paul said it plainly, "But if the Spirit of him that raised up Jesus from the dead dwell in you, he that raised up Christ from the dead shall also quicken your mortal bodies by his Spirit that dwelleth in you." (Romans 8:11) This verse is not only speaking of His resurrection but also our present resurrected life with a clear secondary meaning in relation to our coming resurrection. You cannot separate our present Spirit anointed life from our future Rapture and resurrection. It is all the work of His Holy Ghost in us, shedding forth the power of His resurrection. If you do not have that power working in you now, you cannot expect to receive some kind of infusion when the Son of God splits the sky. But we must give His eternal Spirit His rightful place, also. Even before Jesus the Word spoke the first statement of creation, the Scripture stated, "And the earth was without form, and void; and darkness was upon the face of the deep. And the Spirit of God moved upon the face of the waters." (Genesis 1:2) I love that statement, "the Spirit of God moved upon the face of the waters." The triune God was creating this Universe and each member of the Godhead was powerfully involved. The Father made the choice, the Son spoke the Word, and the Spirit of the Father and the Son acted in supernatural powers and this cosmos "was created." Every sphere of life in this entire created universe is throbbing with His spark of life since that moment 6,000 years ago. If His presence was withdrawn for one minute, every expression of living cells, atoms, and molecules would fold in instant death. All life is the living manifestation of the whisper of life by His mighty Spirit. Creation was an incredible moment of mighty acts of power. Our bodies are a living testimony of this power, as is all of creation. Every creature after his kind was created and Adam named them by their characteristics. Scientists baffle themselves in their study of life when they refuse to believe the account of Genesis. I have been reading a book entitled, The Body Electric. This capable doctor and surgeon speaks glowingly of the body's ability to heal itself and has proven that our body is not just a mechanical machine. His documentation of a current, which he cannot understand, acting in the human body amazed him. All I could think was how much he needs to meet this Creator I know, and then he could know. The mystery of life is everywhere and God's Spirit (the Holy Ghost) is the ordained source of every speck of that life. Nothing exists apart from our Great God. 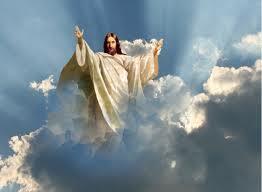 Our resurrection and rapture is guaranteed by His New Testament covenant with us. To the Corinthians He said, "For we that are in this tabernacle do groan, being burdened: not for that we would be unclothed, but clothed upon, that mortality might be swallowed up of life. Now he that hath wrought us for the selfsame thing is God, who also hath given unto us the earnest of the Spirit." (II Corinthians 5:4-5) The Holy Ghost anointing upon our life is our "insurance policy" or "earnest" (guarantee). Multitudes of empty church people are going to be miserably disappointed after the rapture. You have no assurance of this glorious hope of the rapture if you have no fire of the Holy Ghost in your soul. His living and anointed presence working in your life is your certainty of readiness. It is not an experience we need but a total surrender to His will and leading. Our song must become, "Where He leads me, I will follow." No one can possibly doubt the supernatural power of the Holy Ghost. The Bible is a catalog of incredible acts of Divine intervention, expression, and creation. From the parting of the Red Sea, where a host of tens of thousands of escaping Hebrews fled before the Pharaoh's army, to the event of three Hebrew boys that were unscathed by a fiery furnace, miracles are the common facts. Elijah was supernaturally transported from earth to Heaven, Lazarus was called out of a tomb after his body was already decaying, and Blind Bartimaeus received his sight by a simple command. All of these miracles and a multitude more fill the pages of God's Holy Bible. The Spirit of God was the Father's and the Son's manifestation of the Godhead's every supernatural act. This future resurrection and rapture will be the church's grand finale of supernatural intervention. Nothing since creation comes close to revealing so much power in one moment of time. Every grave of every dead saint from all history [except Enoch, Elijah, Moses, and the saints that arose at His resurrection (Matthew 27:51-53)] will be opened as a testimony to his or her escape. Their dead bodies will be changed from the dust of death and in some cases gathered from seas or the winds to become glorified specimens of eternal lives. Millions of living saints will step out of their suits and dresses into transformed specimens of the same eternal glory. There is no such thing as a secret rapture. There is no way such a display of Holy Ghost power can escape the attention of this world. Thousands of cars in the developed world or riding carts in the undeveloped world will suddenly be missing their drivers. Telephone lines will be jammed with frantic calls from hysterical husbands, wives, parents, children, etc. to make missing person reports. Big name politicians, who discover that their old grandmother that begged them to serve Jesus has disappeared, will drop to the floor of some government chamber unable to stand. The news will suddenly be filled with liberal ministers explaining the disappearance with deceiving words to cover their broken theology. The world will never be the same after that day. There will be millions that repent and prepare that day for what they missed. The Apostle Paul declared this by describing the details, "For the Lord himself shall descend from heaven with a shout, with the voice of the archangel, and with the trump of God: and the dead in Christ shall rise first: Then we which are alive and remain shall be caught up together with them in the clouds, to meet the Lord in the air: and so shall we ever be with the Lord. Wherefore comfort one another with these words." (I Thessalonians 4:16-18) Our Father does not send His greatest archangel, but the Son Himself will descend into the mid-air. It's a little thing with God but it's a transcending matter to the church. Satan is the "prince of the power of the air." This evil personage of fallen glory has a kingdom of millions of fallen angels organized for warfare. They inhabit the air above us and even the saints with glorified bodies are no match for their skills. Michael, one of the greatest of angelic beings, refused to rebuke Satan in his own power but rested in the victory of the Lord. Jude, the brother of Jesus, stated, "Yet Michael the archangel, when contending with the devil he disputed about the body of Moses, durst not bring against him a railing accusation, but said, The Lord rebuke thee." (Jude 1:9) Our victory now and forever is Jesus Christ, the Lamb of God. So Jesus descends into mid-air above us, but below Satan's kingdom, and leads His saints back to the mountain of His Holiness, Mount Zion on the sides of the North. (Psalm 48:1-3) The very nature of this victory is totally divine and supernatural. Someone has said that gravity loses its hold, but, no, my friends, gravity has no need of change. The earth's gravity or natural power has never hindered the acts of God. Nothing about this event is natural. Jesus had but to speak and the storm on the Sea of Galilee was quieted. Demons (fallen angels) begged for mercy at His feet. Death is already a vanquished foe, so His descent to rapture His Bride in waiting is but the first transcending act of His coming kingdom. The Son of God shouts as He descends. Why does the Bible confirm that He shouts as He returns into mid-air? Consider that He shouts just to dislodge the army of the fallen angels or disorient them and confuse their battle plans. Of course, He shouts to wake the dead for He is the Word and when He speaks, there is creation in His voice. This shout will shake the universe and start the entire matter of resurrection. Every grave of every saint will hear that shout and the earth will literally cast out the dead. This is His earth and He created every atom of life. When He shouts, nothing in this universe will resist. His shout is a triumph over every foe. His archangels are mighty spirits or created beings to whom He has given great power. The presence of an archangel giving orders suggests a host of angels at the archangel's command. So, indeed the Lord comes with a host, a multitude, and they will take up positions before every fallen angel in Satan's charge. Nothing could possibly be hated more by Satan than to see the church escape his accusations. The saints have always been "Satan's axis of enemies." He hates the saints that defy his effort to lead them to hell. This great host of our Lord's Heavenly army will compose His defense of the resurrected and raptured saints. We will not need to fight as we pass through the mid-air, meet our Lord, and follow Him to the Heavenly Jerusalem for the Judgment Seat of the saints and our celebration around the throne. Of all the Holy Ghost powers manifested, nothing is more glorious than our change from the mortal to the immortal. Let's allow the Apostle Paul to describe this moment in our future. "Now this I say, brethren, that flesh and blood cannot inherit the kingdom of God; neither doth corruption inherit incorruption. Behold, I shew you a mystery; we shall not all sleep, but we shall all be changed, in a moment, in the twinkling of an eye, at the last trump: for the trumpet shall sound, and the dead shall be raised incorruptible, and we shall be changed. For this corruptible must put on incorruption, and this mortal must put on immortality. So when this corruptible shall have put on incorruption, and this mortal shall have put on immortality, then shall be brought to pass the saying that is written, Death is swallowed up in victory." (I Corinthians 15:50-54) This passage reveals the indescribable facts of our coming change. Our bodies are destined to put on a "house not made with hands." (II Corinthians 5:1) Everything about our new house/body will be supernaturally constructed. Flesh and blood born of woman is a marvel and was originally created to live forever with the aid of the Tree of Life. This new body will replace the old so we can share in His resurrection likeness for eternity. While we will enjoy the Tree of Life in the new city, we will not need its fruit to live forever. Consider our body that is made of billions of cells constantly dying and being renewed, replaced with new eternal ones. This body is a living organism created to constantly replace itself by its built-in creative powers. It is substantiated by a kind of supernatural life which proceeds from the Spirit of Life. We are already a marvel but this is only a taste of the new body. Every cell will be changed in a moment. The present corruptible body will be totally changed to an incorruptible body by the quickening of the Holy Ghost. The mortal will put on immortality and this change will be instantaneous. When Jesus descends into the mid-air and shouts the command, an explosion of resurrection will master the darkness of death. The saint, dead or alive, will be infused with this sheer supernatural power to step out of flesh and blood and step into flesh and spirit. All of this, "in a moment, in the twinkling of an eye." Can you imagine a stubborn husband that rejected his wife's gentle witness and Godly life sitting beside her when this change occurs? A beautiful Godly woman will suddenly become a glorified radiant saint. That man will never have another comfortable day unless he is enabled to fall on his face in repentance and prepare to die at the hand of the Antichrist crowd. Encounters of this nature between the resurrected and the "left behind crowd" will be multiplied millions of times. "Death will be swallowed up in victory" right before a stunned world and this world will never be the same again. It will produce conviction and consternation far beyond any past human event of devastation and judgment. The Resurrection of Jesus Christ was God's "first fruits" of the coming resurrection of the dead in Christ. It was the type or example of how the future event will be manifest. The picture that Matthew gave us will be replayed and multiplied by millions. It will be sheer Holy Ghost power great enough to shake the cosmos out of its complacency of sin. I promise you that sin will never have the same satisfaction after this coming hour. Matthew alone described this first fruits resurrection of dead saints. He stated, "And, behold, the veil of the temple was rent in twain from the top to the bottom; and the earth did quake, and the rocks rent; And the graves were opened; and many bodies of the saints which slept arose, And came out of the graves after his resurrection, and went into the holy city, and appeared unto many." (Matthew 27: 51-53) This is God's pattern. This old earth will tremble like a dying man at the very moment the Lord shouts. Rocks will be rent and immediately "graves will open" all over this earth. Many graves will be in long lost graveyards, built over, paved over, under houses, commercial buildings, and highways. They will be opened wherever they are and the world will finally know that "Jesus is Lord." No wonder the Bible says "every knee will bow and every tongue will confess that Jesus is Lord to the glory of God the Father." (Philippians 2:11) This is a perfect moment for that confession, at least for millions. The Resurrected saints will visit homes and marketplaces across this globe. Notice again, "They came out of the graves . . . and went into the holy city, and appeared unto many." This is going to be one of the great moments of the coming Pre-Tribulation Rapture. No wonder the Bible says, "the dead in Christ shall rise first." Imagine an old grandmother knocking on the door of her favorite grandson that has put off surrender to Christ and now has missed the Rapture. When he sees her in her new body and senses the glory of her resurrection how his heart will smite him. Multitudes of those in these type encounters will have already made their last choice and have no hope. Many will still find mercy, get saved, and be killed by the Antichrist's throngs of thugs. Never has an event of Biblical fulfillment exceeded the transcending moment of the Resurrection and Rapture. There are other wonderful truths that will also be grand in their fulfillment but this beginning of the end exceeds them all. The resurrection and rapture is like the opening of a long and glorious drama with each day revealing more and more of the accomplishment of His cross and redemption plan. This world as we know it cannot continue much longer. Even nature is groaning for redemption and the dead will be removed from its bowels of sorrow. 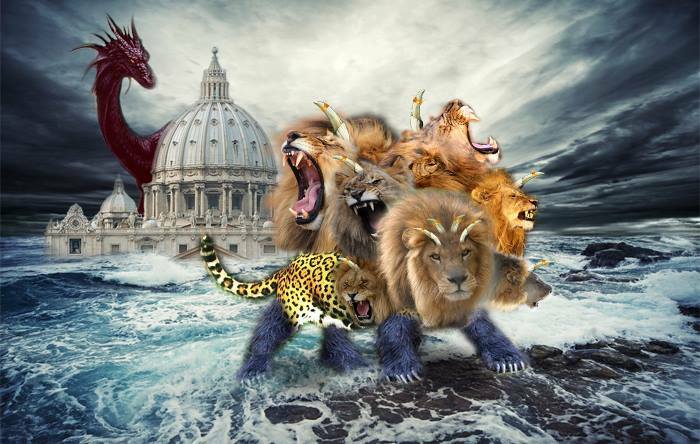 The spiritual war that is being raged by Satan and his host is especially directed to defeat this prophesied event. Satan will fail and we will escape before his last acts of blasphemy. The Rapture is certainly at the door.